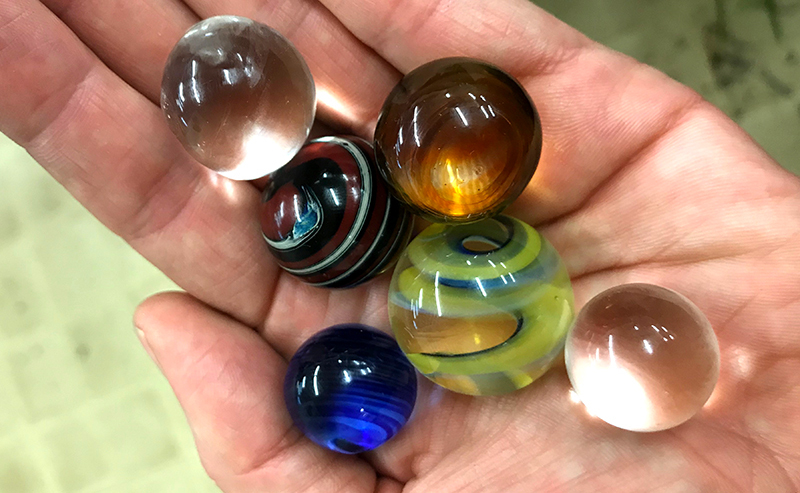 Marbles created by students in Carla’s Flameworking 101 class. Have you ever wanted to experience the magic of moving molten glass? 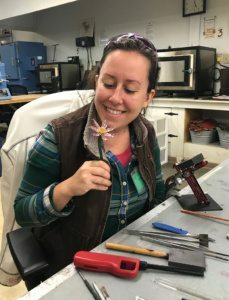 Flameworking 101 might be the class for you! We are lucky to have Carla Camasso join us again in the beginning of March to teach the art of flamework, also known as lampwork. 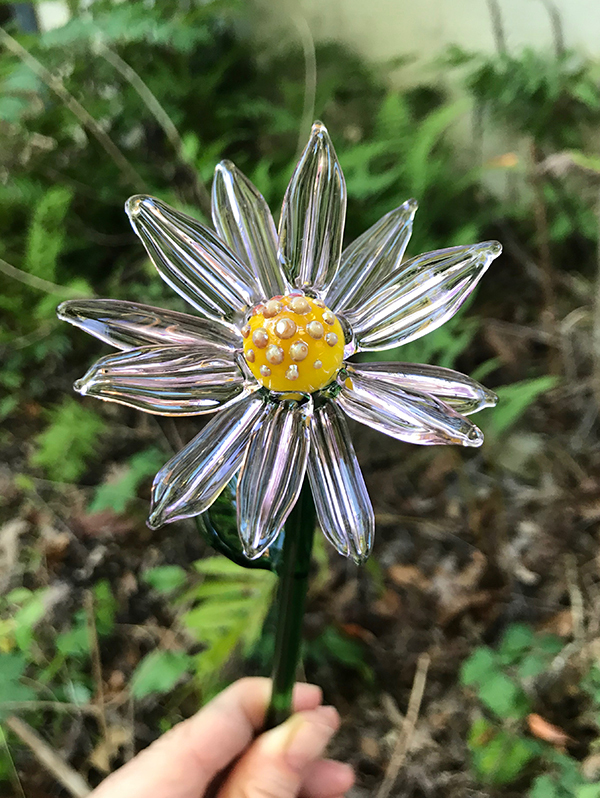 Carla is a glass artist currently living in Asheville, North Carolina. 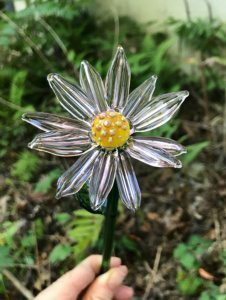 Using a torch to melt and manipulate borosilicate glass, her work is greatly inspired by the beauty of nature. 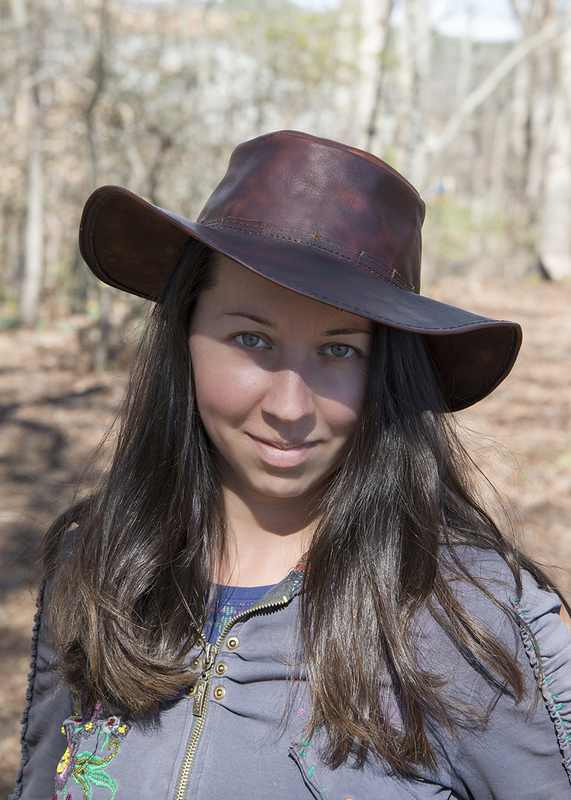 Learn more about Carla in this sweet interview I did with her in the Folk School Dining Hall during the week of her last class with us. CC: Flamework is a form of glass work. You use a table top torch to sculpt and melt rods of glass and glass color into many different shapes and forms. This week we are making marbles, pendants, ornaments, and small sculptures. 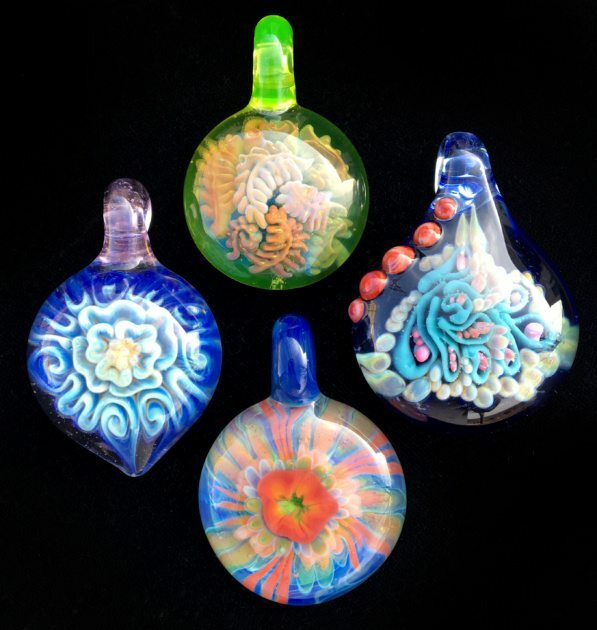 CP: How is flamework different from bead making? CC: Bead making in done with soft glass. My class is focusing on borosilicate glass, which is a harder glass. It’s more user friendly, so it’s great for those just starting in glass. CP: Borosilicate is the Pyrex glass, right? CC: Yes, it’s the same type of glass that Pyrex is made out of. Pyrex is just a brand name. It’s more durable. 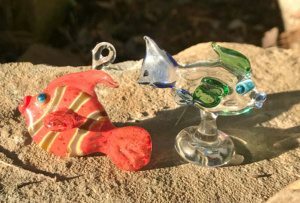 It melts slower than the glass used for beads, so it is easier to work with and we have a higher success rate, especially for beginner students. 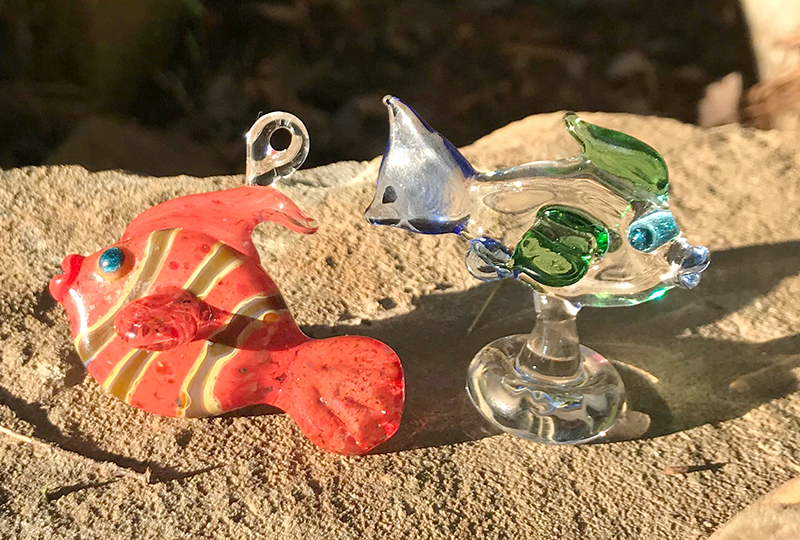 All my students had never touched molten glass before, and they are all going to go home with at least a dozen little goodies that they made. 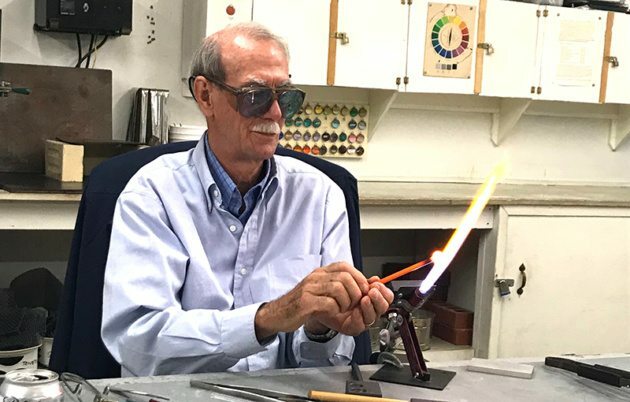 CP: How did you become a glass artist? CC: I first took a stained glass class, and then I started into blowing glass. When I went to college, I got a Bachelor of Fine Arts in glass at Massachusetts College of Art in Boston. I am originally from Massachusetts. 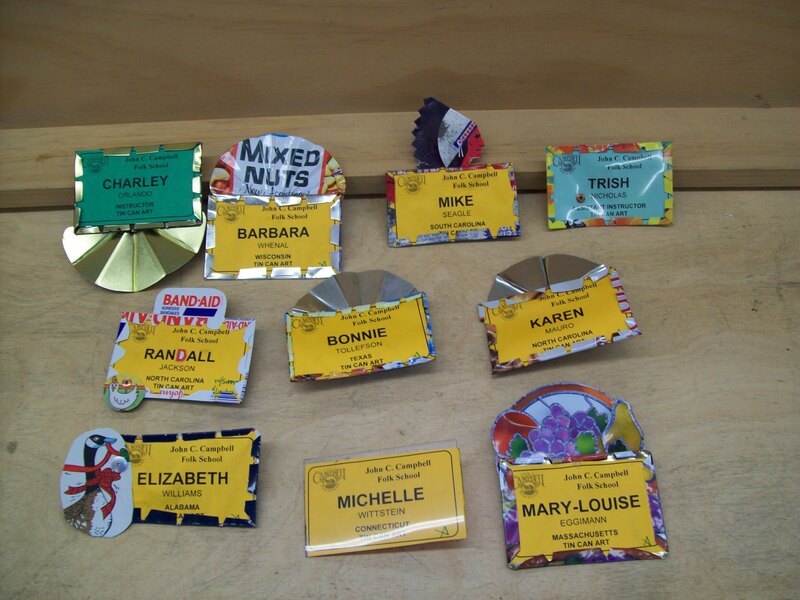 After college, I worked as a studio assistant for many artists. Now, I’m at the point where I am working on my own stuff in my studio and I teach about six time a year. I live in Asheville now and I love it. Just to be able to make my work and sustain myself as an artist, it’s my dream. CP: What motifs do you like? CC: I’m drawn to nature. I love the outdoors. In my personal work, I like to mimick the outdoors and make ferns or flowers. I also make a lot of wearable art. CP: What do you like about the Folk School? CC: I’ve always loved craft schools like the Folk School. 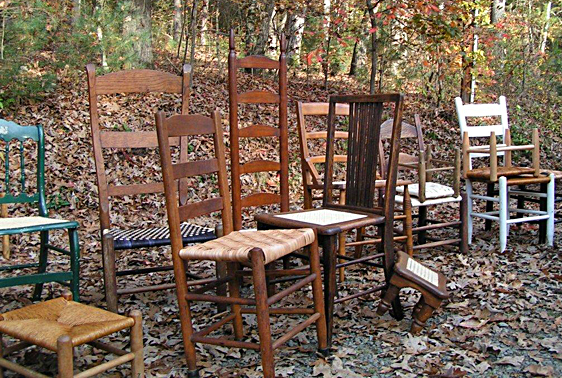 I love that it brings together all these like-minded people who may not do these crafts in their everyday life, but are all here to create and have a good time. You meet great people and it’s a beautiful setting. I love to connect with different people. 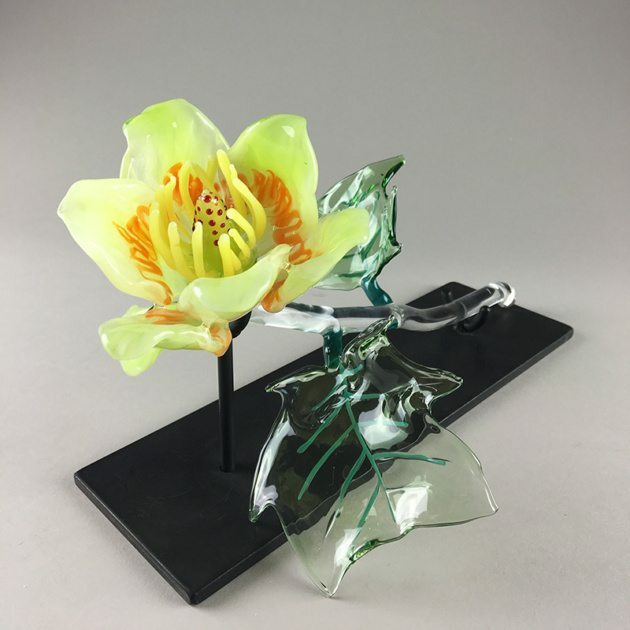 CP: What draws you to glass as a medium? CC: I did start out as a 2D artist. I was into drawing & painting, and then I got into photography after that. When I discovered clay I found out that I loved to make 3D things. Glass is fun because it can be challenging, there’s chemistry and physics, it’s both a liquid and a solid, so it’s truly an amazing material. In it molten state, it moves like honey, yet when its solid, it’s fragile and can shatter. I feel like I have a lifetime of learning ahead of me with this material. Also known as lampworking, the art form of flameworking has existed for over 5,000 years. 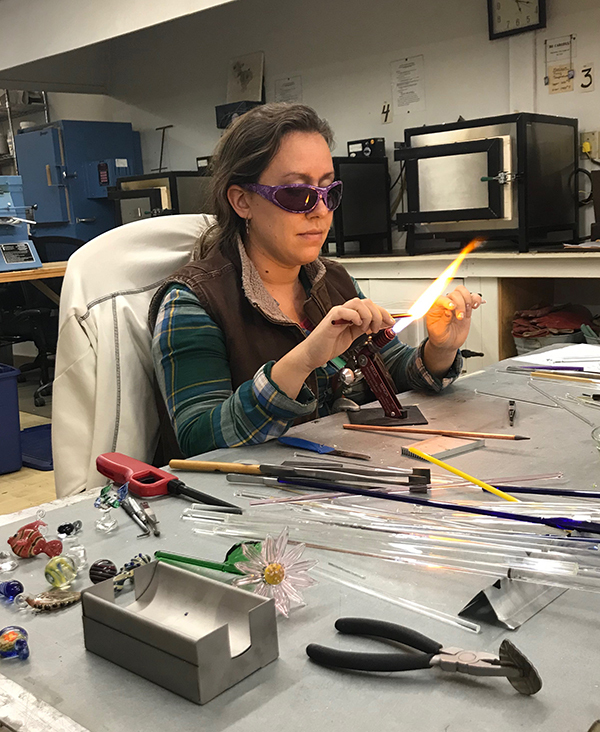 At individual torch workstations, learn basic equipment operation and tool use for safely manipulating borosilicate (hard) glass in the flame. Gain fundamental skills to transform glass rods and tubes into marbles, pendants, sculptures, and more. Artist tips and insights on use of color will be shared. All levels welcome, especially beginners. Register on the Folk School website. How much are the classes? Do I get to stay “on campus” or must I find my own place to stay? How about RV? Do you have a place to park them? will this class be available again sometime this year? i am highly interested in participating in lampworking. Caitlyn-thank you for your interest. Unfortunately, the class isn’t being offered again this year. Please check back in January when the next set of classes are published.